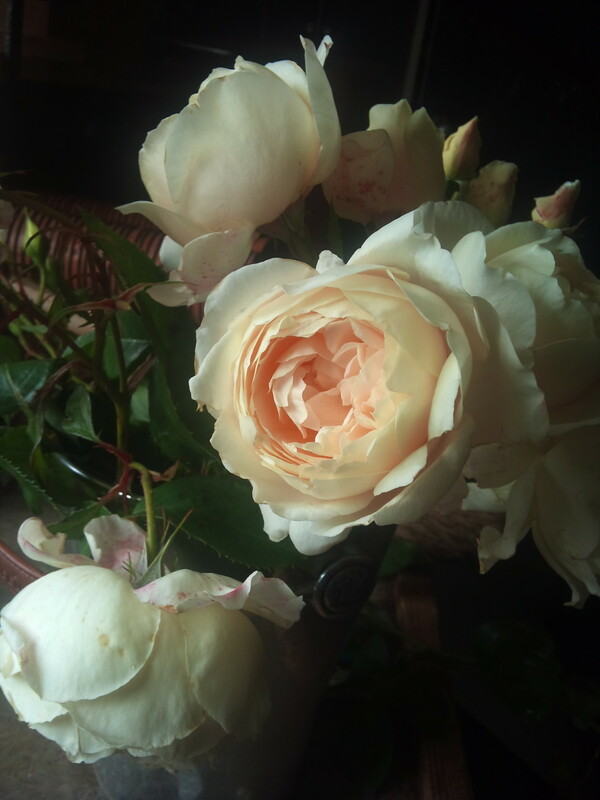 Roses delivered in the autumn and winter are supplied ‘bare root’, that is to say that they have been lifted from the fields in Hertfordshire where they are grown by Harkness Roses and their roots washed clean of soil. This is the traditional way of supplying roses and means that you receive a vigorous, strong-growing plant that has not had its growth checked by potting. Before you receive your roses, prepare the soil that they will grow in by digging in plenty of leaf-mould, old compost or well-rotted manure. Dig a planting hole about 30cm deep and slightly wider than the root spread of your new rose. Soak the roots thoroughly before planting. If the soil is very poor, it is worth buying a packet of mycorrhizal fungi from your local garden centre or direct from Harkness Roses. This is a powder that contains bacteria that aids rooting and promotes plant health. Simply sprinkle the powder on the roots of the rose. Spread the roots across the hole and fill with soil, making sure that the graft where the rose is shooting from is at soil level. Gently firm the soil around the plant and water it. Each spring cover the ground around the rose with a thick mulch of compost or well-rotted manure.